Seven Meeting and Banquet Rooms equaling up to 6,100 sq. ft. of flexible meeting space. The Holiday Inn Oneonta Cooperstown is your ideal choice for Cooperstown hotels. 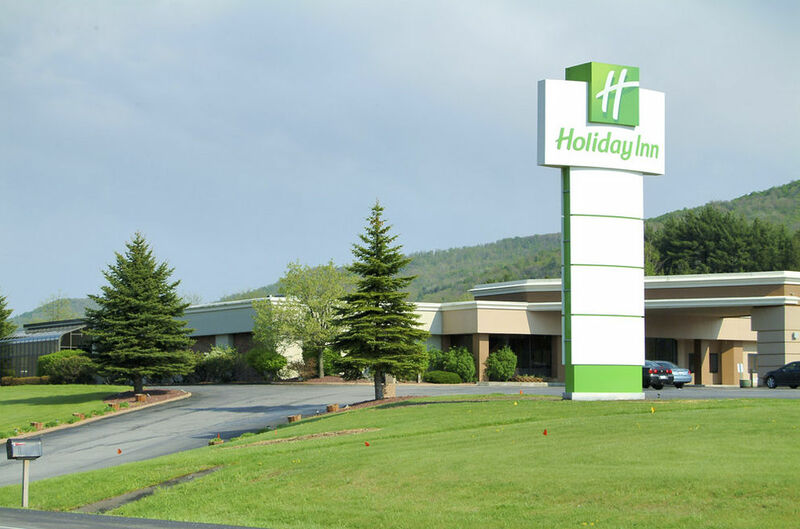 The Holiday Inn Oneonta New York provides lodging in Oneonta near the Cooperstown Baseball Hall of Fame. The Holiday Inn Oneonta Cooperstown New York is also conveniently located near area attractions such as Hartwick College, State University of New York at Oneonta and Delhi, Cooperstown Dreams Park, Cooperstown Baseball World, Cooperstown All-Star Village, the Oneonta Outlaws Baseball Team, Glimmerglass Opera, the Farmers Museum and Fenimore Art Museum as well as area businesses like Cooperstown Chamber of Commerce, Corning, Inc., Tyco Healthcare, DMV International Nutritionals, Mead Westvaco and Amphenol Aerospace. When visiting Oneonta, New York, make the Holiday Inn Oneonta/Cooperstown your first choice for Cooperstown hotels. Our professional staff can help you plan a conference, seminar, reunion, or any other gathering for as few as 2 or as many as 300 people. Our 3800 square feet of meeting space breaks into three rooms, each accommodating up to 100 people.